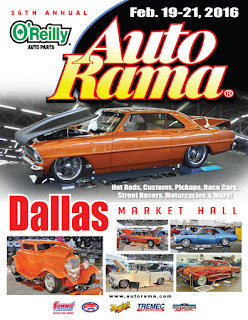 The LSGTPA will be represented at the 56th Annual O'Reilly Auto Parts AutoRama, held at the Dallas Market Hall. 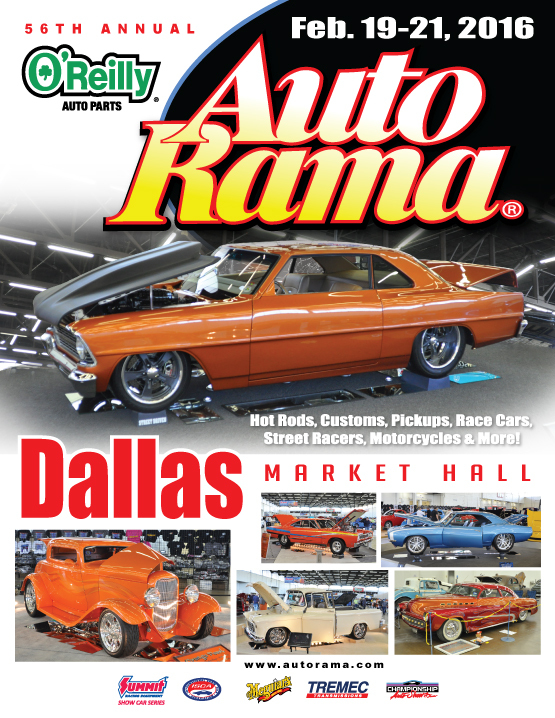 The world famous motorsports show will be held February 19-21, and will feature hundreds of hotrods, customs, race cars, motorcycles and several LSGTPA team tractors. 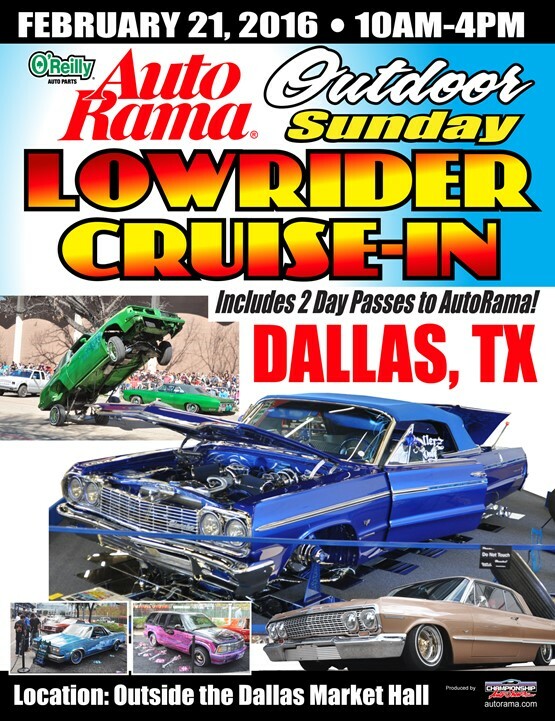 Mark your calendars for the event, and be sure to look for the LSGTPA machines on display !! 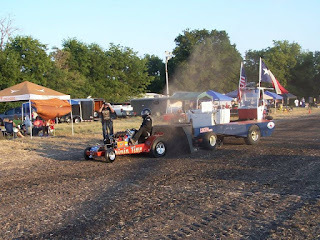 The Lone Star Garden Tractor Pulling Association was founded in 1999, as a group dedicated to sharing and promoting the sport of tractor pulling. 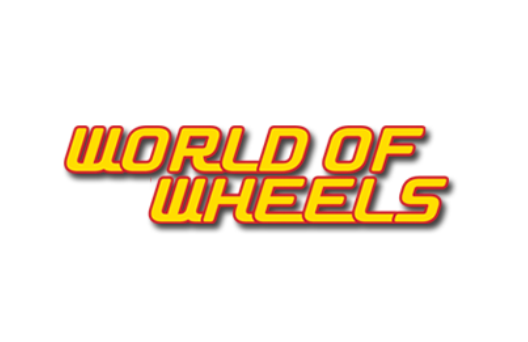 The organization members have always maintained a family atmosphere with the club, and has maintained a focus on family entertainment and friendly competition. Fans attending an LSGTPA event can expect a family oriented show, showcasing high horsepower garden tractors and good clean fun in the dirt ! 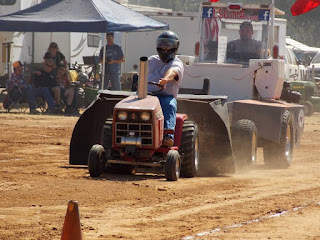 The LSGTPA is proud of each show on the tractor pulling schedule, and honors the start of each event with Prayer and our National Anthem performance. The 2015 LSGTPA pulling season, featured some great entertainers delivering opening ceremony performances, that will forever be a part of LSGTPA history, and will certainly be remembered by those in attendance. 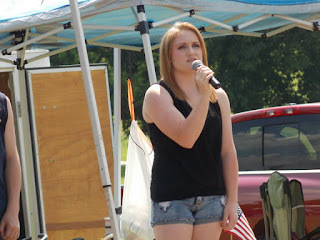 National Anthem performances were delivered by audio recording for each LSGTPA event, until 2010, when Haley Harrelson rolled onto the scene with an incredible live performance at the Hunt County Fair in Greenville, Texas. Recording artist and star of the 'The Voice' performer, Amber Carrington, would perform for the LSGTPA in 2012. 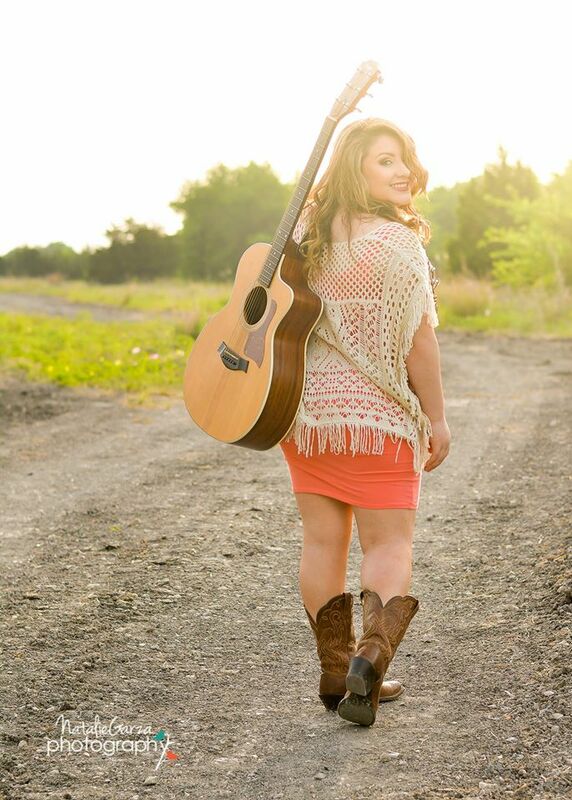 Texas singer and song writer, Ashliegh Lisset, would perform for LSGTPA , as well as talented performers Bailey Melvin, Payton Williams, and Emily McCoy. High School talents such as Micalyn Rowe and Payton Le'Ann Alaniz, would deliver awesome performances of the National Anthem for LSGTPA, as the show rolled through their towns. 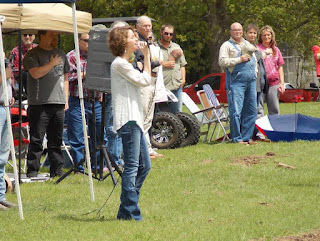 Many incredible National Anthem performances have been delivered by many talented singers and song writers, for the LSGTPA shows. The bar has been set high for opening ceremonies, by these entertainers, and the 2015 pulling season shows were no exception. 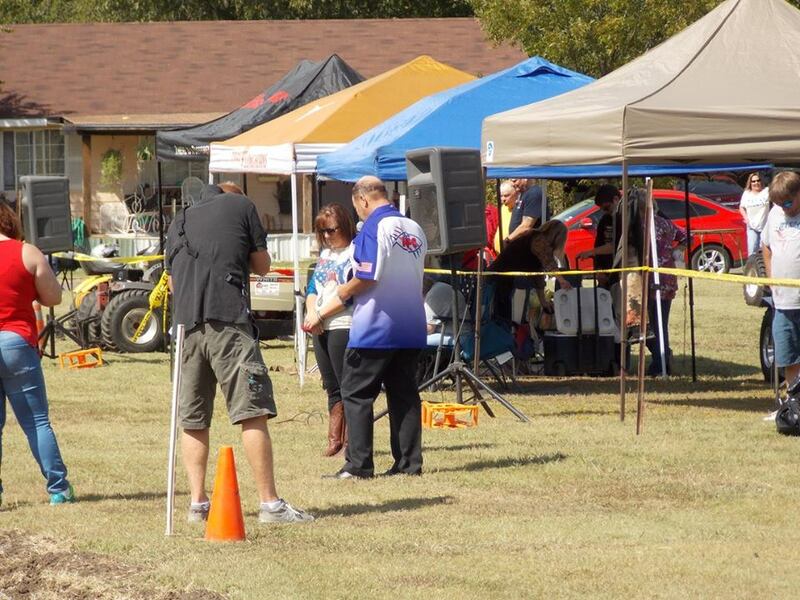 First and foremost for the 2015 LSGTPA season, was the inclusion of the Racers For Christ organization with LSGTPA. 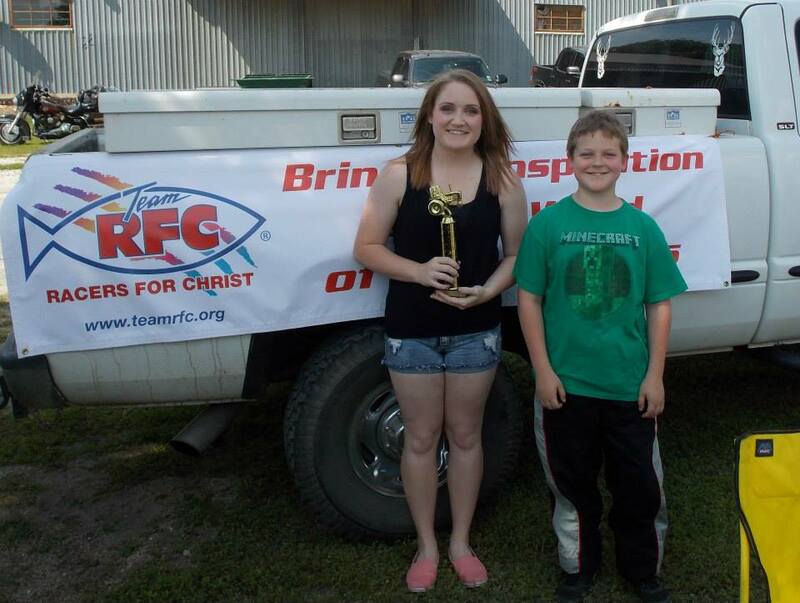 Racers For Christ, or RFC, is a ministry dedicated to bringing inspiration to the world of motorsports. 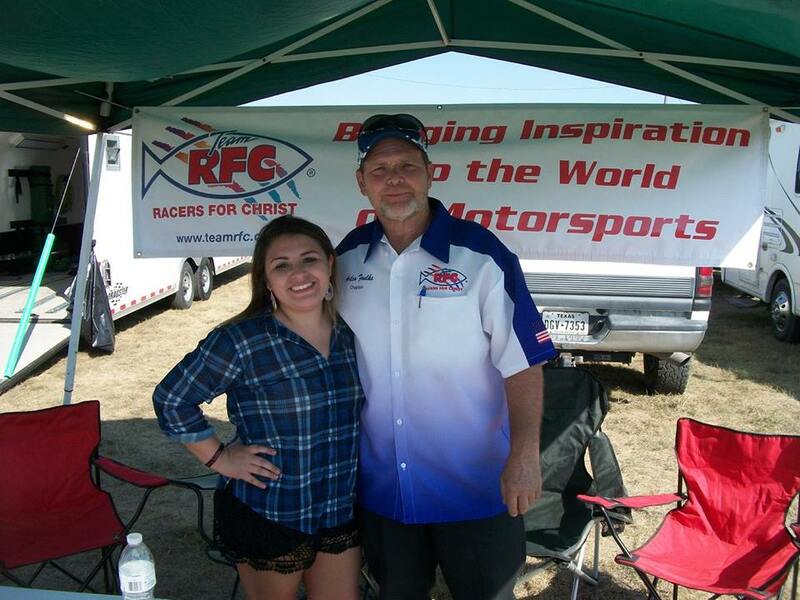 RFC is a national organization, that provides Christian services and spiritual fellowship to the motorsports family. The LSGTPA was blessed with the RFC assignment of Arlen Foulks, to deliver our opening Prayer for each event in 2015. Foulks not only became a great addition to opening ceremonies, but has become a member of the LSGTPA family and crew. LSGTPA is proud to be affiliated with RFC, and is especially proud of the work and representation of Arlen Foulks. National Anthem performances in 2015 were incredible. With such amazing performances from artists during previous years, many would be interested to see what could be in store for 2015. The opening event in Cooper, Texas would set the stage for an amazing year of performances. 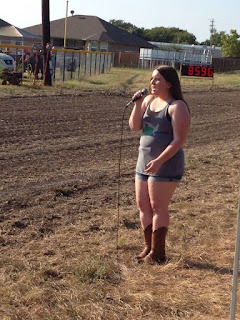 The inaugural Delta County Fair & Livestock Show Tractor Pull would feature local artist Lauren Taylor, with the National Anthem performance. Taylor is a Texas talent with an incredible voice, and an awesome range of vocals. Her ease of covering the range of vocals needed for a great performance of the National Anthem was shown in Cooper, and her delivery was amazing. 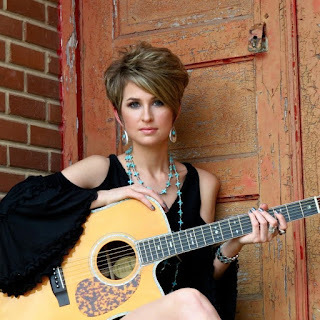 Lauren Taylor performs live at area events, and has a website for information. The Bonham Heritage Day celebration is one of the favorite LSGTPA events on schedule each year, and 2015 would be another great event. LSGTPA would welcome the return of local talent Grace Johnson, to perform the National Anthem. Johnson performed for LSGTPA in 2014 and did an amazing job, and returned in 2015 to open the show with an even more amazing performance. 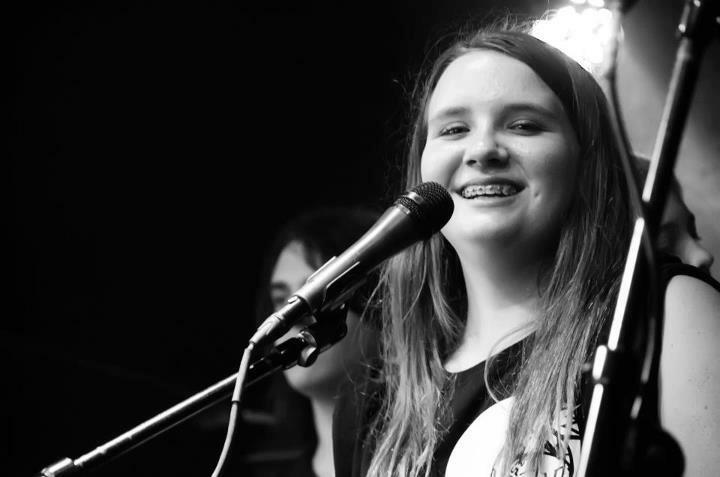 Grace is a member of the Bonham High School Choir, and has a Superior rating in UIL competition. The talented singer has great potential, and we hope to hear more from her. Bailey Melvin. This talented young lady is incredible. 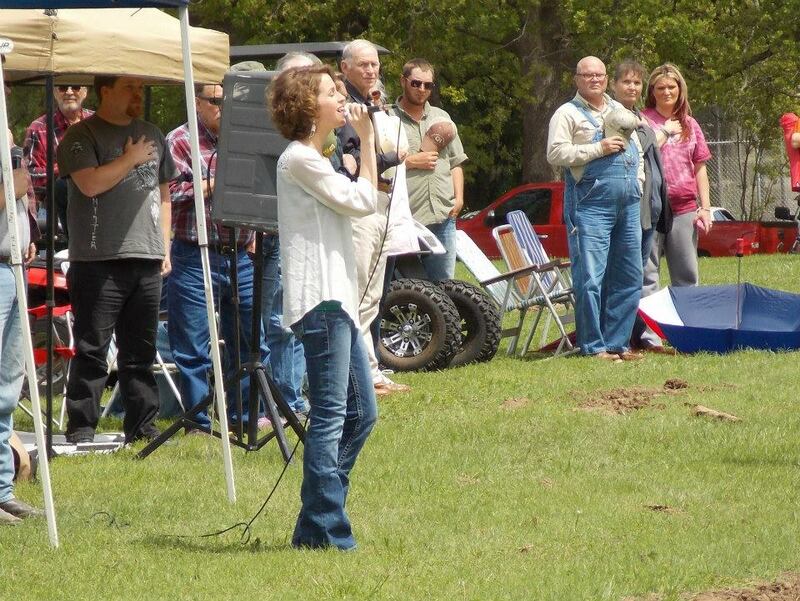 Bailey has delivered more National Anthem performances for LSGTPA than anyone, and each one sends chills. 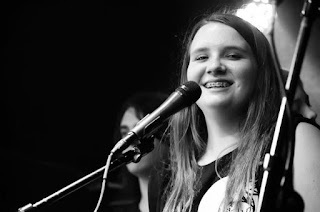 Bailey is a member of select regional choir teams in North East Texas, and a favorite performer of LSGTPA. Her high range performances are truly impressive, and are an outstanding open for each event. The LSGTPA rolled into Alvarado as summer temperatures heated up the tracks, and one Jade Flores rolled in to deliver one of the hottest performances of the 2015 season. With track temperatures around 120 degrees, Jade would deliver one of the most amazing performances of the season. 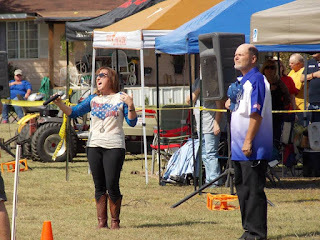 Stopping by to perform before her Texas State Fair Country Showdown concert, this super talented performer belted out a National Anthem performance that was truly amazing. Jade is an LSGTPA favorite, and has an incredible voice. Flores can be seen performing at area venues such as Red Oak Opry, and other North East Texas venues. 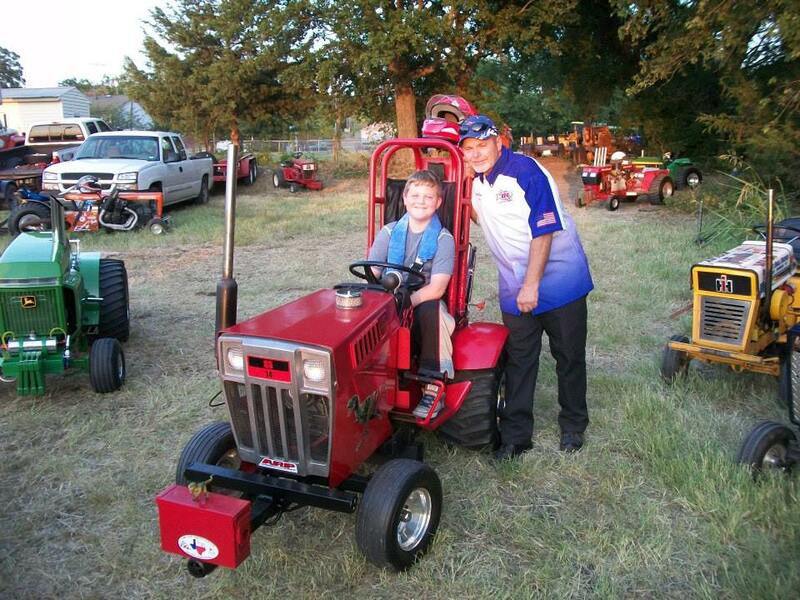 Fall and Farmersville Old Time Saturday usually signal the seventh inning stretch for the LSGTPA tractor pulling teams, but for the 2015 event, the excitement seemed more like the ninth inning. In what would be the surprise of the season, for National Anthem performances, a last minute arrangement would secure the services of one Jennifer Chiappone for opening ceremonies. Chiappone was in town for the Old Time Saturday festival, as lead singer for the band 'Short Fuse', and graciously agreed to perform the National Anthem. Her performance was incredible. With a powerful voice and incredible control, fans and competitors were treated to a truly awesome performance, and everyone knew it. Wows from the crowd and the round of applause, proved to be one of the best opening ceremonies of the season. 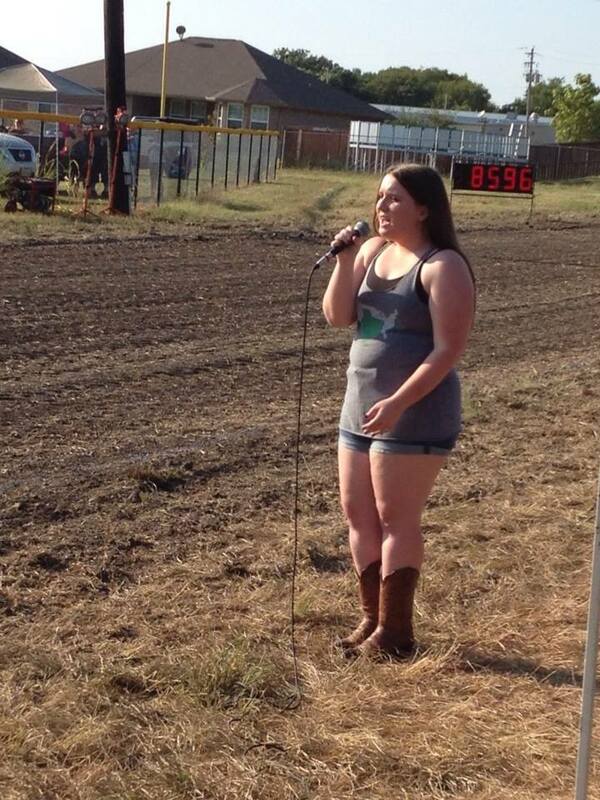 The historic Rockdale Fair & Rodeo Tractor Pull closed the 2015 LSGTPA pulling season, and Rockdale High School talent Tashon Chamblee was on hand to perform our season finale National Anthem. Chamblee would deliver another great performance to close the season in Rockdale, making for a great closing act on incredible National Anthem performances for 2015. LSGTPA members are proud of the family atmosphere that our shows provide. We are also proud of our Prayer and National Anthem presentations. We appreciate so much, the time and talents that these gifted artists have donated to our shows, and wish them all the best in their endeavors. Thank you to all who have allowed LSGTPA to be associated with your talents, and thank you for your contributions to the LSGTPA events ! 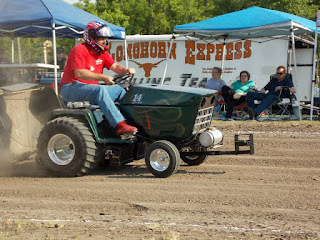 The LSGTPA 2015 tractor pulling season featured ten events throughout Texas, and provided pulling fans and competitors with a load of excitement. Each team competing for the 2015 Championship points, battled a variety of pulling track surfaces and weather conditions throughout the season. We take a look back at some of the events, and outstanding performances along the way. 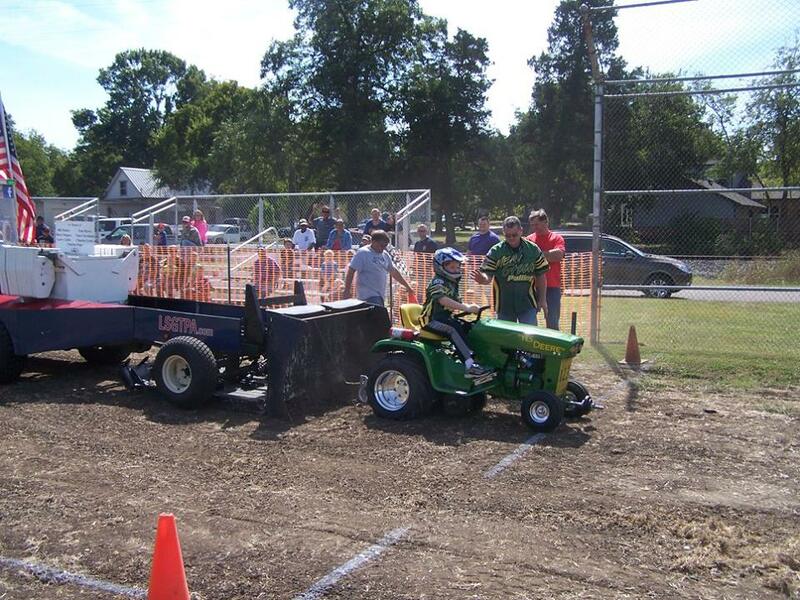 The first event of 2015, would be the Inaugural Delta County Fair LSGTPA Tractor Pull, presented by the Delta County Chamber of Commerce. 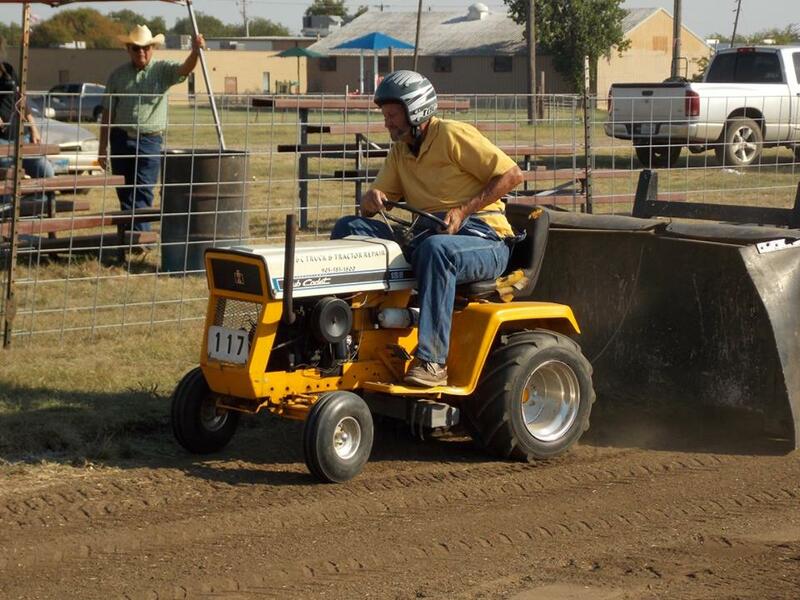 The event featured a dedicated pulling track, designed and prepared by Rocky Young of RY Construction, and located at the City Park in Cooper, Texas. Claude Lewis would use the first event, to score a victory in Stock Class, and would build on the lead to dominate the field and take the 2015 Championship in Stock Class. Lewis would manage a string of nine victories, during a great performance for 2015. Claude Lewis takes a win at the Johnson County Antique Tractor Pull event in Alvarado. The Hunt County Fair in Greenville, Texas, was scheduled to be a double header event. Rain delayed the event, and shortened the event to a single pull, with Paul Smith doubling down and scoring victories in both Big Bike Class and Outlaw Class. Smith would carry his lead throughout the season in both classes, and would double up on the 2015 Championships. 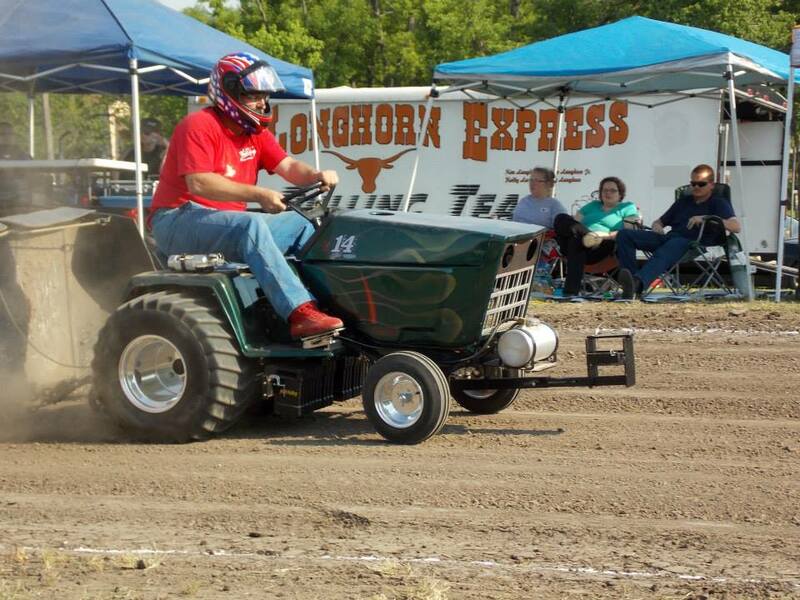 Smith would ride his 'Texan' tractor, a crowd favorite, to a total of fourteen event titles during 2015. 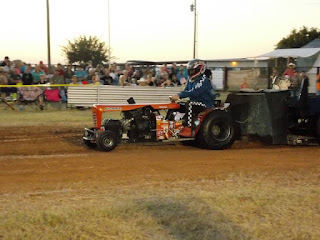 Paul Smith aboard his 'Texan' tractor, scores a win at the Help-A-Child Benefit in Sulphur Springs, Texas. The Bonham Heritage Day celebration featured the LSGTPA pullers, with John Aufdenkamp celebrating a win in both Big Stock and Stock Altered Classes. Aufdenkamp would continue the season with strong performances, resulting in Championship titles in both classes. Scoring eleven event titles between the two classes, Aufdenkamp placed his Outlaw Pulling Team entries on top for 2015. John Aufdenkamp pulls to a victory during the Bonham Heritage Day event. Rain would delay the Rolling Oaks VFD pull, but no weather delay would deter the Bonham Service Center Team performance, as Ken Langham, Sr. pulled to a victory at the event. The Longhorn Express pulling team would leave with the Super Rod Class victory, and build on a points lead to take the Super Rod Class title for 2015. Scoring eight victories throughout the season, Langham and crew would dominate the field with their high horsepower Chevrolet powered machine. 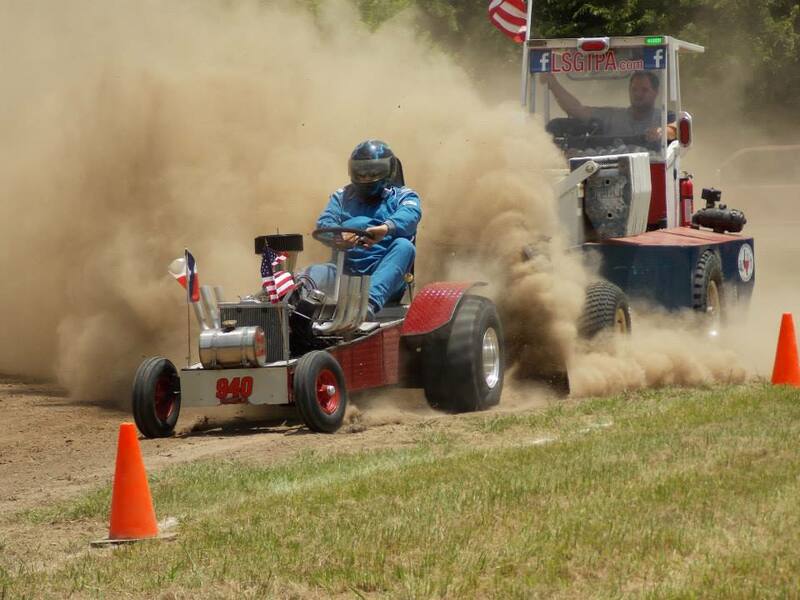 Ken Langham Sr., scores a victory during the Rolling Oaks VFD event. The Bill Halter Memorial Pull in Blue Ridge, Texas, is contested each August. 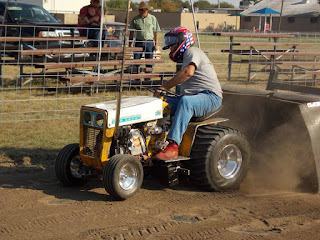 The pulling action is as hot as the Texas summer, and Jerry Toland stoked his Championship points lead aboard his 'Shinin Time' tractor, to take the win and mount an unsurmountable points lead in the Mini Rod Class. Scoring five victories on the year with consistent performances, Toland's four cylinder tractor would take the top spot in the class. 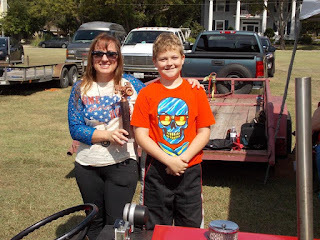 Jerry Toland wheels 'Shinin Time' to a victory in Blue Ridge, Texas. As the teams rolled into Bartlett, Texas for the Old Town Festival event, the season points action for each class was heating up. John Aufdenkamp turned up the heat in the Hot Stock Class, with a victory in Bartlett, and a points lead that would hold up for the 2015 Championship. One of three 2015 Championship Titles earned by the Outlaw Pulling Team, Aufdenkamp secured the seasons top spot with six event titles. John Aufdenkamp takes his 'Rusteze' entry to victory lane in Alvarado. As the temperatures cooled down in October, the pulling action remained hot. As the teams rolled into Farmersville, Texas for the Old Time Saturday event, several classes remained to be contested for the Championship titles. Mason Hovind piloted his 'Yes Deere' machine to a victory in the Youth Class, to take the lead down the stretch and score a Youth Class Championship for the Mean Green Pulling Team. Strong performances and two event wins, would place Hovind in the top spot in Youth Class for 2015. Mason Hovind pilots his 'Yes Deere' tractor a win in Farmersville, Texas. The Rockdale Fair & Rodeo event would be the 2015 LSGTPA Season Final, held at the historical Rockdale Fair Horse Racing Track. Ken Langham, Jr. would jockey his Stock Diesel entry to score a field leading victory on the historic track surface, closing the season with a win and the Stock Diesel Class title. Langham's season finale victory, would be one of six event titles for the team in 2015. Ken Langham, Jr. wheels his Longhorn Express Pulling Team entry to victory in Rockdale, Texas. As we file the 2015 season highlights in the record books, the 2016 LSGTPA season is now fast approaching ! Stay tuned for the 2016 LSGTPA pulling schedule, and check out an event near you !